Las Ramblas is considered the main artery of the city. Strolling along the promenade you can enjoy a variety of street shows performed by local artists. Delve into the heart of Barcelona and discover the flavours of the city in the Boqueria market, or enjoy art at its best at the Liceu. Our apartments are situated just off the Ramblas allowing you to be close to all the action, but with all the necessary amenities to make your stay more enjoyable. 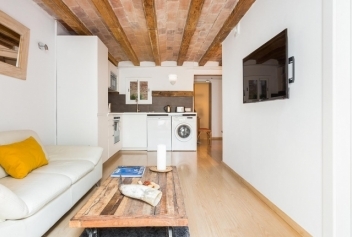 Check out our list of apartments near the Ramblas.